Artisan's PitStop system. Image: Artisan Vehicles. 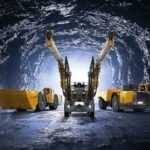 Sandvik has acquired Artisan Vehicle Systems, a United States-based manufacturer of battery-powered underground mining equipment. The privately-owned Californian company’s core technology is battery packs, electric motors, power electronics, software and control systems. 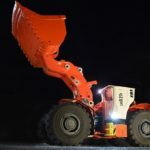 Artisan designs its underground mining loaders and trucks with high powered, highly reliable and field proven battery electric powertrains, according to Sandvik. The deal will strengthen Sandvik’s expansion into the battery electric vehicle sector. Last year, Sandvik launched its Battery Electrification Innovation and Development Centre in Finland. Sandvik Mining and Rock Technology president Lars Engström said the acquisition was in line with the company’s ambition to be leading in the market for battery electric vehicle solutions. “The area in which Artisan is located is a frontrunner in electric vehicle development. Our new R&D foothold there will complement the skillset we have in Finland. The combination of know-how and skills creates a very strong platform,” Engström said. Artisan, which will become a business unit in Sandvik’s load and haul division, launched in 2010 and originally targeted the commercial truck sector. By 2017 the company had recorded $US12.3 million ($17.3 million) in annual revenue and grown to have around 60 employees after refocusing on underground mining vehicles soon after forming. Artisan has installed its technology in underground mining vehicles that are deployed in several countries around the world since 2011. 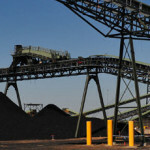 In an interview last year, Artisan told Australian Mining of its ambitions to also bring the underground technology to Australia. The company has, however, realised that it needed to partner with a large original equipment manufacturer (OEM) to continue to grow around the world. Artisan chief executive Mike Kasaba said the criteria was simple in picking a partner. “We want a partner that has set the standard of today so that together we can set the standard for tomorrow. I am absolutely certain that we have selected the right partner,” Kasaba said of the Sandvik deal. Sandvik and Artisan have chosen not to disclose the amount of the acquisition following an agreement between the companies.